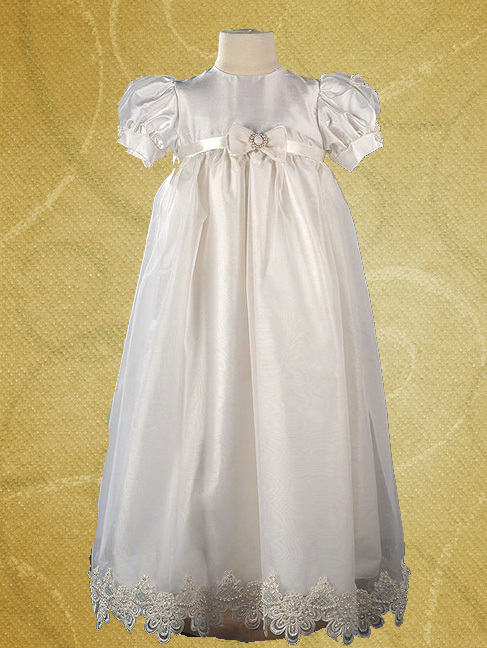 Christening Gowns- This beautiful gown is made of the finest 100% silk. It has a silk organza overlay with a beautiful floral and pearl trim on the bottom of the skirt. It is adorned with a lovely bow and pearls on the bodice.